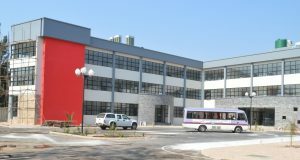 LUSAKA: Wednesday – 27/04/2016 – The long awaited construction of the Synod Investment Complex at Woodlands Mosi – O – Tunya plot is almost about to commence. 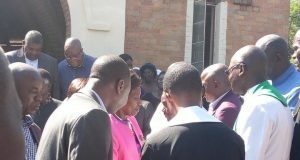 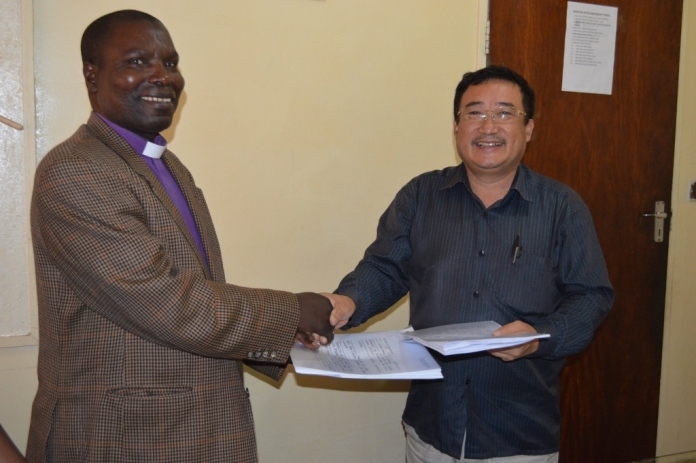 This came to light in a colourful contract signing ceremony between the United Church of Zambia and the Datong Construction Limited. 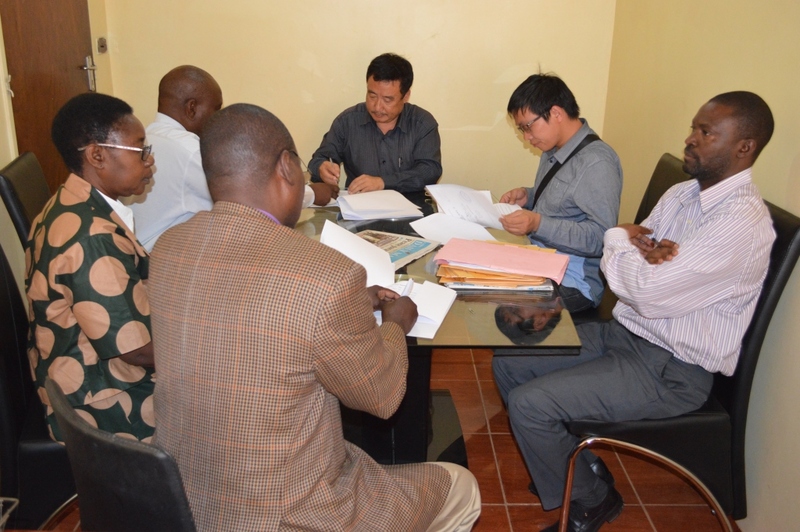 Datong Construction limited Managing Director Mr Yu Wang Ping and the Project Manager Mr Huang Han Zhou pended their signatures on the contract on behalf of their company at exactly 12:35 hours at Synod Headquarters along Nationalist road, off Burma road in Lusaka. 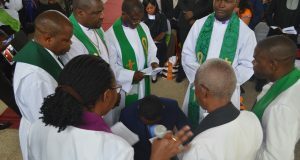 Representing the United Church of Zambia were the United Church of Zambia Synod Bishop His Grace Rev Mutale Mulumbwa, and the GeneraL Secretary of the United Church of Zambia Rev Dr Mulambya-Kabonde. 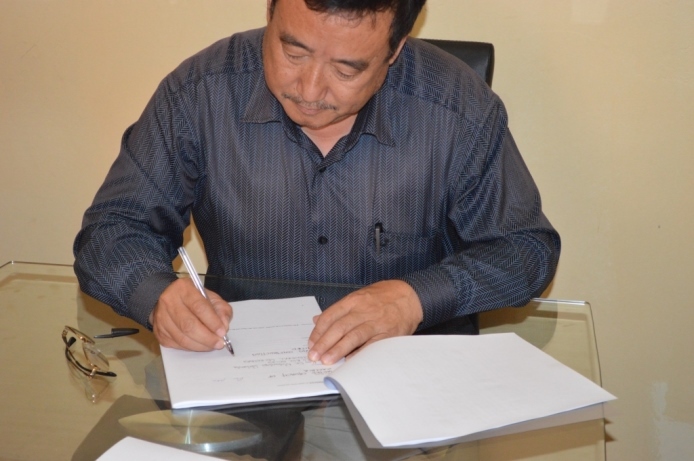 The hand-over of the site will be done on Tuesday, 3rd May, 2016 at Woodlands. 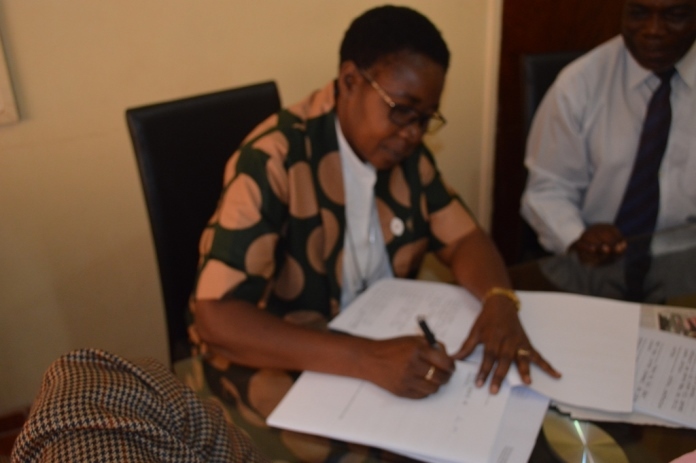 The signing ceremony was witnessed by the Synod Financial Secretary Mr Innocent Kangwa, the Administrative Secretary Mr Rodgers Ngambi, and the Communications Secretary Rev Dennis Sikazwe.